My Pastor taught an amazing lesson on Walking in the Spirit. I couldn't wait to journal it into my Bible. 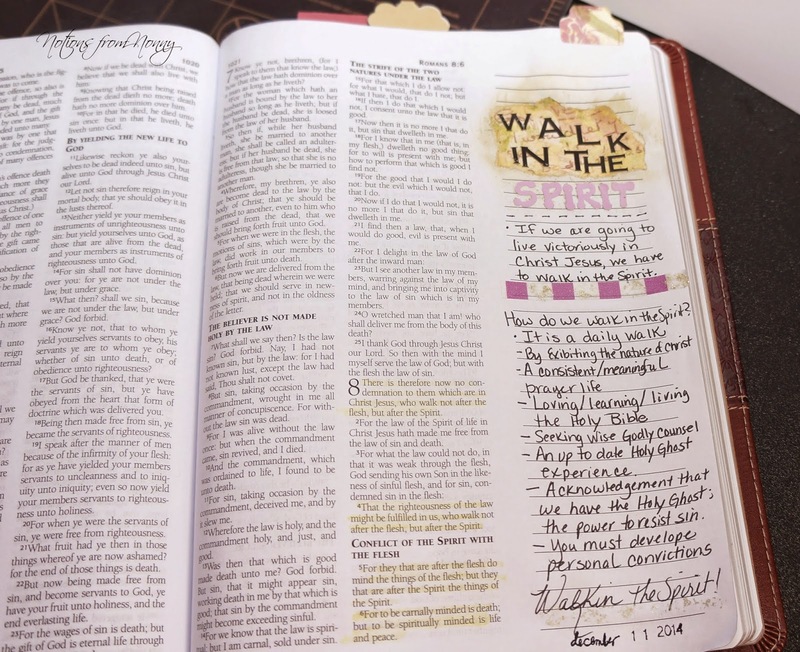 This is the first time I have journaled notes and not a particular scripture. This lesson was so awesome, I didn't want to forget it, but I also wanted whoever picks up this bible to be able to glean from this lesson. I do want to be victorious in Christ Jesus. 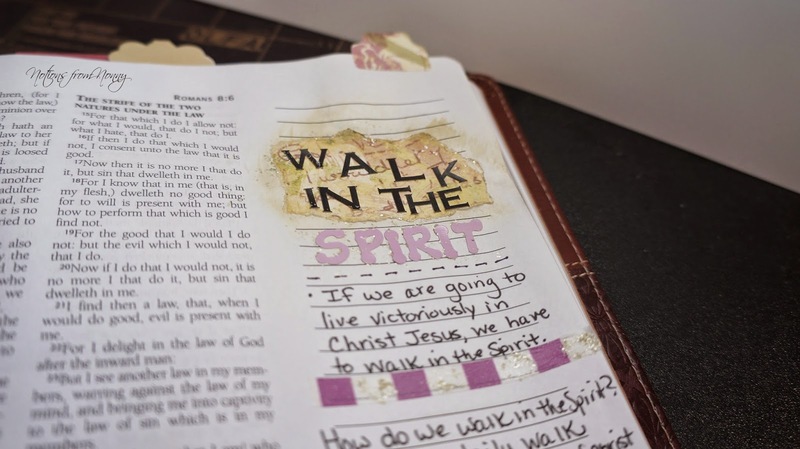 I plan on walking in the spirit! This is so neat. One thing you might consider is adding who taught or preached. I have found more than one preacher's name in my Mom's Bible and it makes those notes even dearer to me. That is a great idea!! I will definitely go back and add that. December Daily : It is a Rainy Day!